The American Legislative Exchange Council has produced a new report on the government employee pension situation in the states. Nationwide, the unfunded liabilities amount to $5.9 trillion. Unfortunately, but not entirely surprisingly, New Mexico is among the states in the worst position when it comes to government employee pensions. 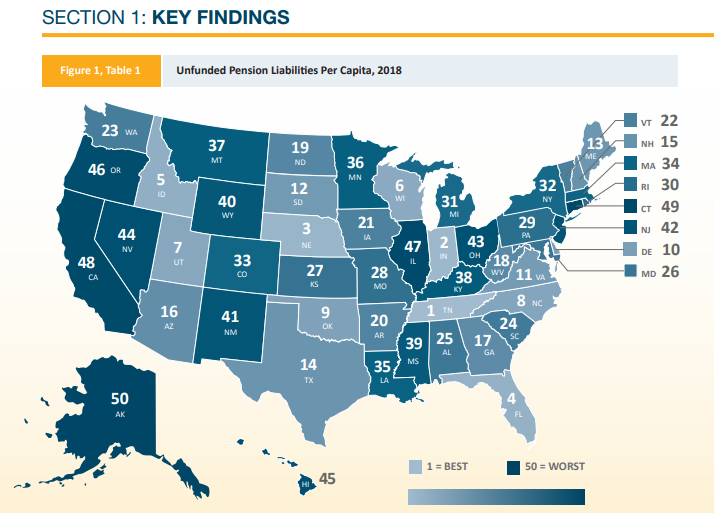 As the following chart below shows, when it comes to unfunded liabilities per capita, New Mexico is 41st (that’s among the states with the 10 worst pension problems). 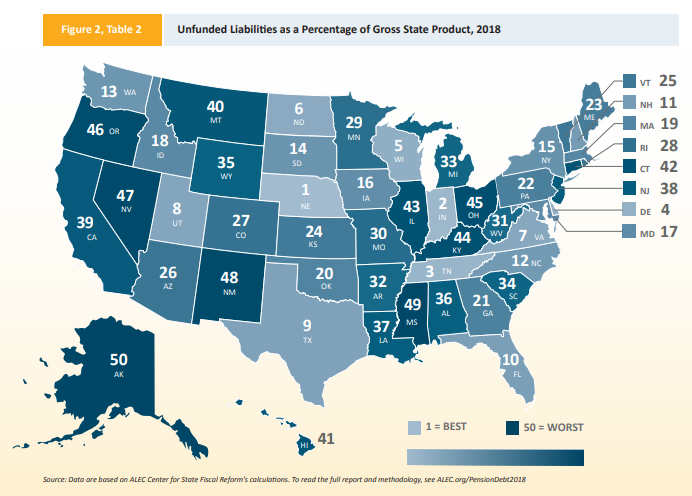 As if that isn’t bad enough, once you actually include the size of a state economy (ability to pay) New Mexico’s pension liabilities look even worse coming in at a pitiful 48th among the states. That’s worse than either Illinois or California both of which have notable pension issues.